The Money Path to a Happy Life – Love. Life. Practice. Practical tools to make hard times happier. That's the goal of this blog, and this is one of those rare moments where I feel I can offer some hard evidence for ways to improve the happiness of your life. Dr. Thomas Gilovich of Cornell University has spent a couple of decades trying to figure out exactly what it is that makes people happy. Statistically speaking it turns out it is not what you have, but what you do. At first this might not make much sense; wouldn't this $300 iPad, which I'm going to enjoy for years, give me more happiness than the 20 minutes or so that I would have if I spent the same amount of money skydiving? Not if you take into account both our ability to adapt and our personal narrative, says the research. While there is a lot of joy when you first open up some product (especially those Apple designs) once you have the object for a while you get used to it. In the case of an iPad that might manifest as filling up the memory capacity, tapping your fingers as you wait for web pages to load. It also makes you vulnerable to comparison; you maybe see the person over there with the higher-resolution screen or maybe even a watch. In fact, the object that brought you joy is almost certain to become a source of pain as time goes on and it becomes more obsolete, wears out, or simply fades into the background of your life. The initial rush, like a hit of any addictive drug, wears off, only replenished by the purchase of a new thing. Hence, capitalism! (just kidding. I LOVE capitalism!). On the other hand, even if you hate skydiving, once you do it it becomes part of your story: I am someone who jumped out of a perfectly good airplane and (hopefully) lived! Like any memory, we tend to focus on the good parts (or at least the parts that make a good story) and forget about the rest. As time goes on the actual memory becomes less vivid and so we compensate by embellishing details (such as Bryan Williams recently demonstrated). Dr. Gilovich explains that “…experiences become an ingrained part of our identity” which is something that most objects don't do. In fact, often it is the experience of acquiring of the object that becomes the value, rather than the actual possession of it. My father owns a Navy Colt revolver, the kind that Clint Eastwood uses in The Outlaw Josey Wales. I haven't ever fired it, I haven't even seen it in years – but I vividly remember being with him in the gun shop when he saw it, and sharing his excitement as he decided to purchase it. I'm sure if I asked he'd let me hold it or even fire it – but I'm also sure it wouldn't come close to making me as happy as being there with him did. …and that's a good thing. The other reason, not backed up scientifically but rather simply by my own reasoning, is that while you often need money in order to acquire objects of value, you don't necessarily need money to have good experiences. 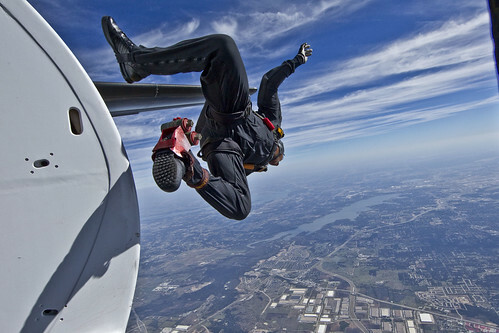 Certainly for some – skydiving, for example – cost is a barrier to entry. But every moment of every day is an experience of some kind, and your experience of it is at least partially in your control. I can choose to stop and savor the coffee I'm drinking now instead of simply gulping it down between typing words; I can make my walk home an observation of the wondrous phenomenon that is Spring in Wisconsin rather than simply getting from point A to point B. Neither experience will cost me anything – but it can increase my happiness immediately. If your initial objection to this idea is “there is not enough time I completely concur. Though it's not so much that there's not enough – since we all have exactly the same amount – it's rather the allocation of time. A large portion of most people's time is spent trying to earn the money to get the things that the marketers say will make us happy. Up to a certain fiscal level (about $75K) that actually works. You can buy happiness. But at any fiscal level (presuming basic human needs are met) experience is probably going to make you happier than objects. Perhaps an even better strategy would combine the two – associate the object with an experience, so that it becomes a talisman. Increasing the subjective value of an object can certainly prolong the duration of your joy in possessing it. Dr. Gilovich ends the Fast Company article by asking: “As a society, shouldn't we be making experiences easier for people to have?”. It's a question worth asking not only as a society (even Constitutionally relevant, right after life and liberty) but also as individuals, parents, partners, and citizens of the world. p style=”margin-bottom: 1.5em;”>What experience are you going to make possible today?